Flowers make my soul smile – wild or manicured my eyes appreciate the glories of their blossoms. 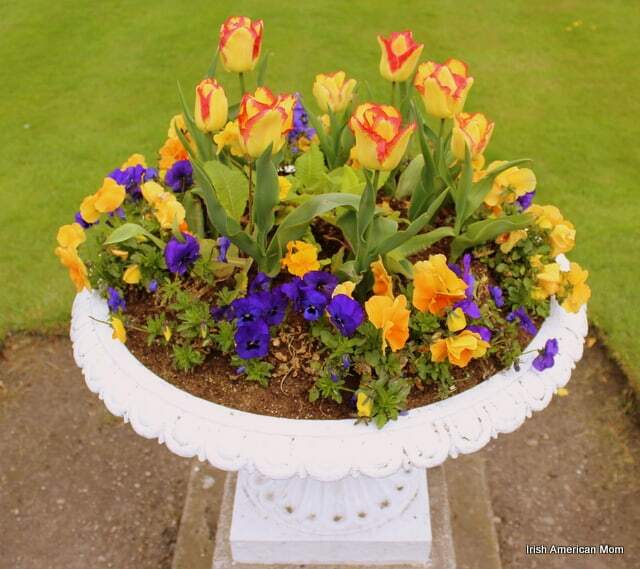 Baskets, boxes, bouquets, pots, planters, you name it, I love them all once they are full of flowers. 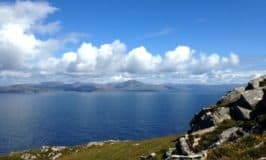 I just returned from a quick visit to Ireland. Dublin’s flowers are spectacular at the moment, so I couldn’t help myself. I just had to take my camera to record the ordinary, simple beauty of these streets I know so well. 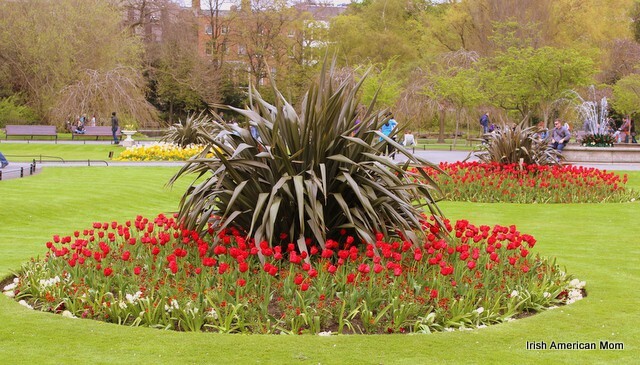 Dublin is blooming in style, albeit a little later than usual after a long, cold winter. Believe it or not, daffodils are still nodding in the gentle breezes. 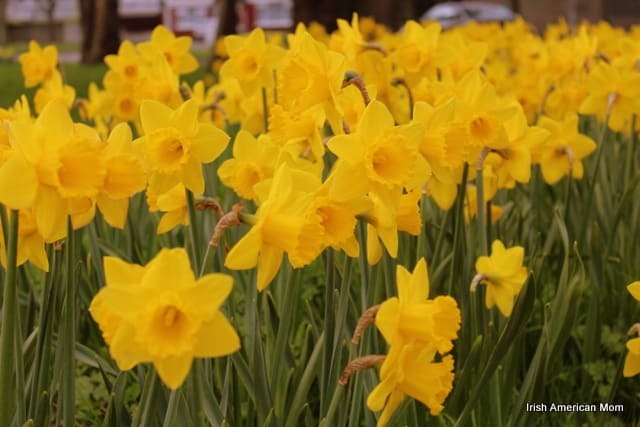 Usually blooming in March, a Maytime host of golden daffodils is very unusual in the Emerald Isle. 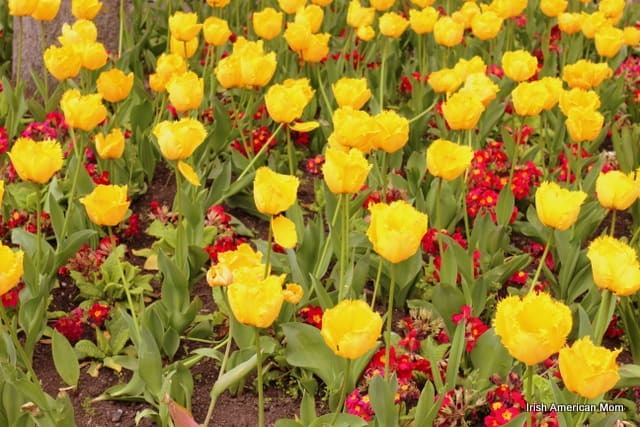 Tulips of every color stand tall in the planters and flower beds of St. Stephen’s Green. 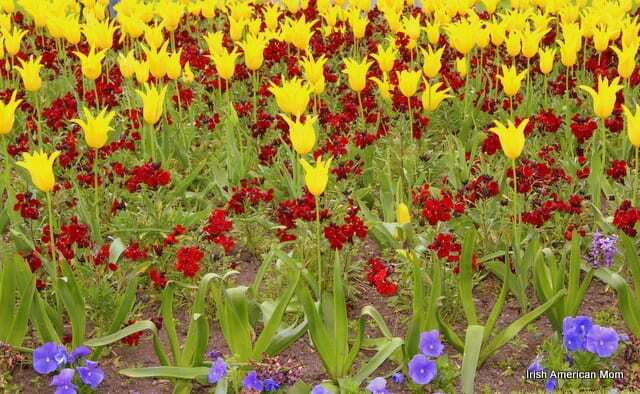 Blooming each year in a showy sea of blossoms, there must be thousands of bulbs planted in these flower beds. They return each year, making Dublin look like Amsterdam. In the midst of all the doom and gloom of Ireland’s recent recession, it is lovely to know a stroll around St. Stephen’s Green is still free for all to enjoy. Simple white tulips are spectacular amidst a sea of yellow. Sitting on a bench surrounded by such beauty is the perfect way to watch the world go by. Yellow tulips symbolize happiness in life, and looking at this lovely spread of yellow tulip cups, who could not feel happy. 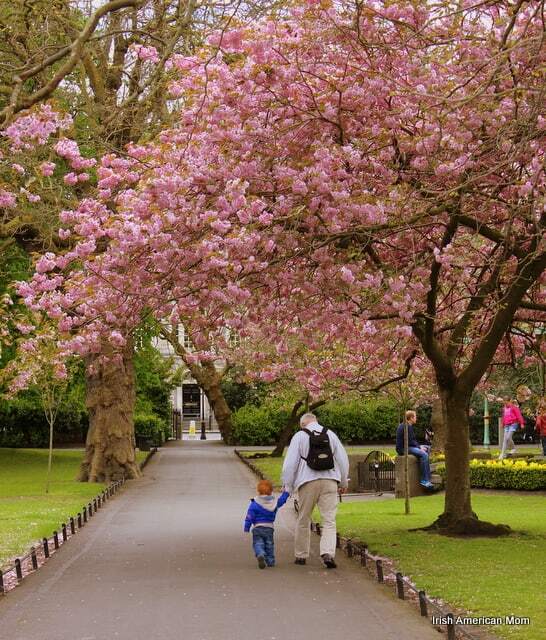 The cherry blossoms are in full bloom, raining pastel pink petals on the pathways of Dublin’s parks. What could be more perfect than strolling through the park, under an umbrella of cherry blossoms, holding Grandad’s hand. Grafton Street is a mass of vibrant color, flower sellers arranging their wares with care and a keen eye. 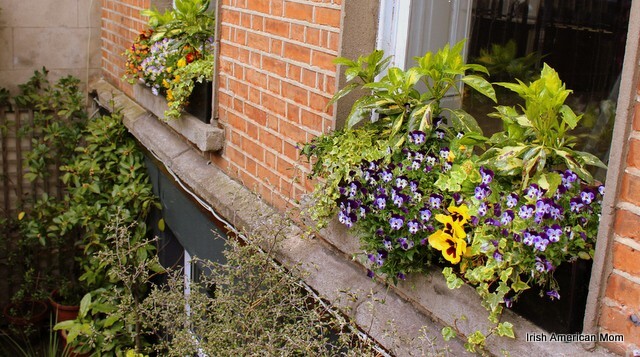 Even Dublin’s window boxes are bedecked in blues, yellows and every shade of green. My heart sang as I walked around my hometown last Saturday. No matter how far I wander from her, I always feel at home, strolling along Grafton Street, crossing the Liffey and just knowing I belong here. Thank you Dublin for a lovely day. I love flowers, too, Mairead. Thanks for sharing these shots of your recent trip to Ireland. 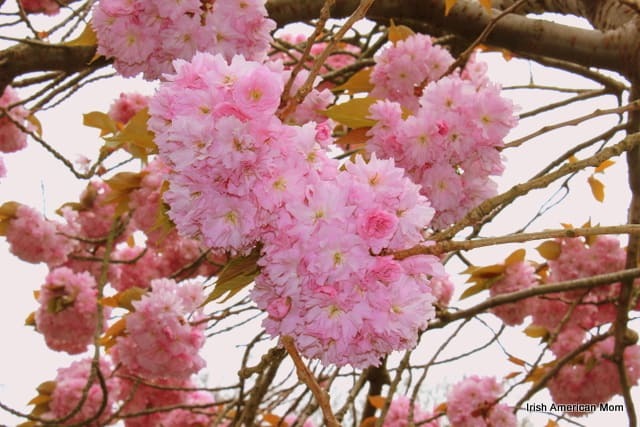 I especially like the ones of the cherry blossoms since I don’t get to see them around here. Gorgeous! Thanks Cheryl. Dublin was glorious bedecked in springtime blossoms. Hope you have a great week. Oh Mairead, your pictures are breathtaking! You can almost smell the flowers! 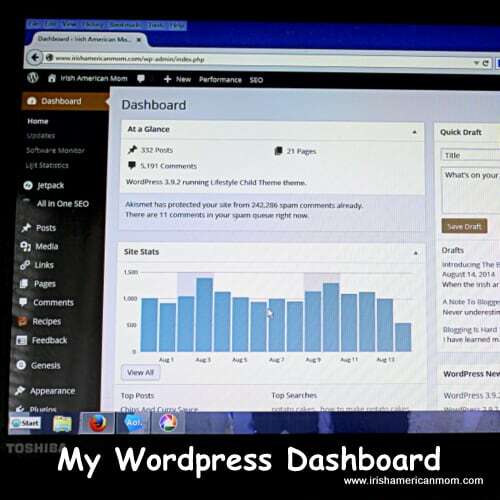 Thank you so vey much for sharing. Pat – St. Stephen’s Green was beautiful on Saturday. I could have sat there for hours taking it all in. It’s Dublin’s Central Park, I suppose, but on a much smaller scale. Maureen – Dublin was just lovely last Saturday. I was really lucky with the weather and had a lovely time strolling around with my camera, taking pictures here and there. Oh Mairead!! 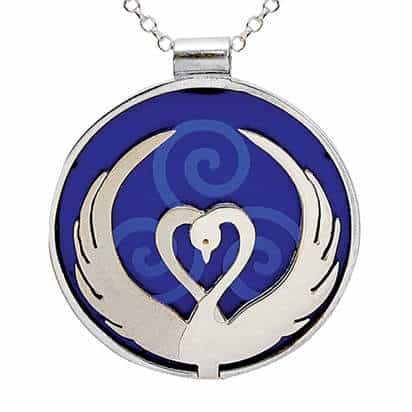 How beautiful!! I cannot tell you how much I love the photos of all the flowers!! The daffodils and the tulips just take my breath away! The cherry blossoms are so lovely! Thanks for sharing this. Next time, take me with you!!!! And that flower stall! I would have fresh flowers EVERY DAY! 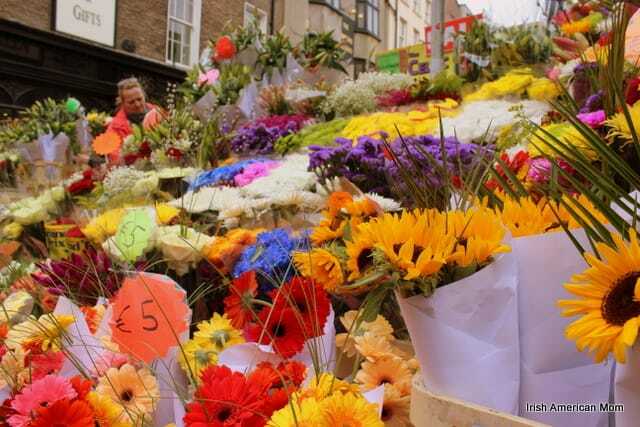 Dear Kay – Dublin’s flower stalls are amazing. The one I photographed is right in the middle of Grafton Street, Dublin’s main shopping street on the southside of the city. 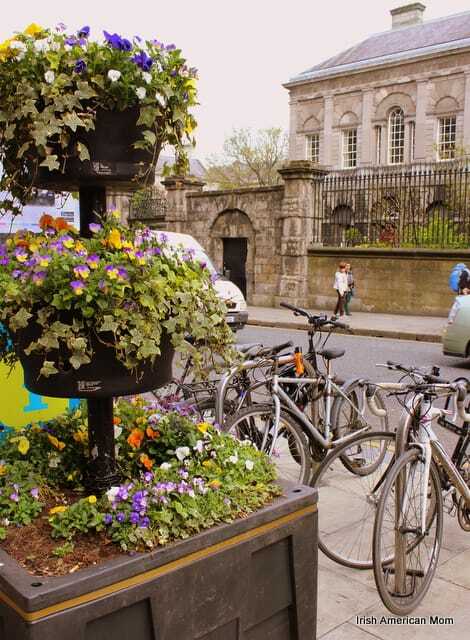 All year round Dublin’s flower ladies add a lovely splash of color to this busy thoroughfare. I had a lovely, relaxing time in Dublin, my hometown. I took lots of photos of the street entertainers too, which I’ll share in a post next week. They were amazing. I could have spent hours just wandering around listening to them. P.S. 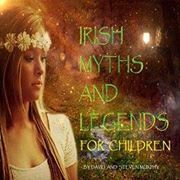 I hope to meet you in Ireland someday. Brian – I’m back in Kentucky safe and sound, thank God. Dublin’s flowers were glorious. Spring is really delayed in Ireland this year. The white thorn was not out yet, but plenty of yellow furze on the hills. I love growing impatiens over here. They love cold tea, and since I am an avid tea drinker I have plenty to share with them. Great shade plants too. Aimee – Ireland is awash with color during the summer months. Most towns plant an abundance of flower pots on window sills, walls and street corners. The lovely thing about all that Irish rain, is that watering these flowers is never a problem.